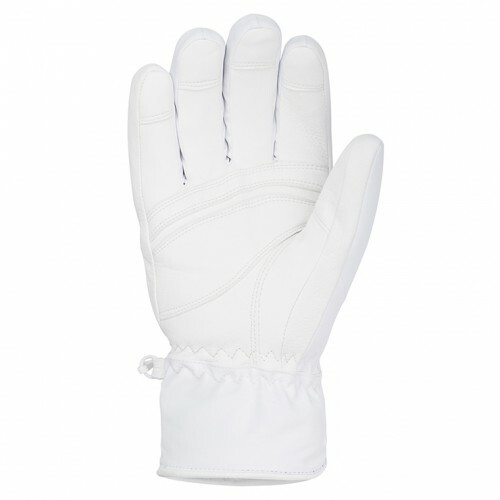 Elegant women's leather and 4way Stretch gloves with a shirred wrist feature and metallic zipper. Available in white. 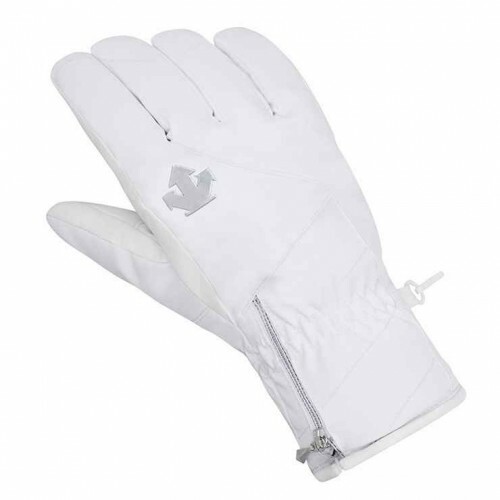 They have Heat Navi for added warmth, and a waterproof insert to keep them dry.